Over the last four years I have been actively involved with the so called war over software patent, and I had a chance to know many entepreneurs, politicians and lobbyists involved with. 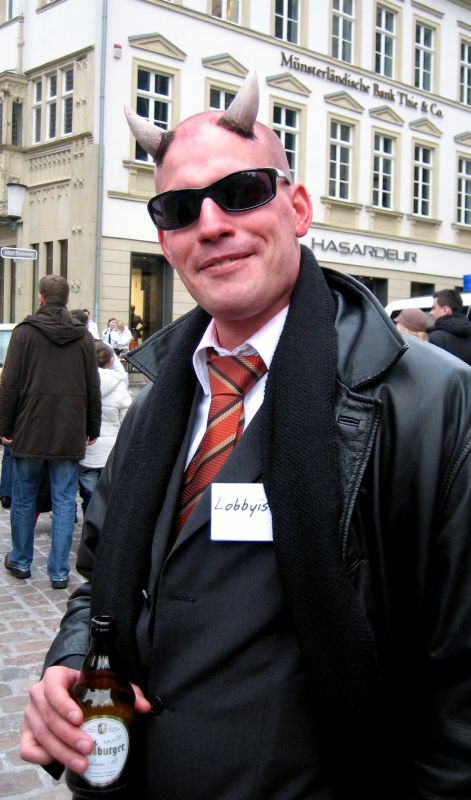 No one like Florian Mueller was able to keep a strategic vision all the time, and despite he was criticized by both parties, he was conceded the category award “Campaigner of the Year” by the European Voice, and many other awards. Unfortunately I couldn’t manage to help him to get his book translated in Italian, but I can recommend it as the most interesting and entertaining book you can read on the topic. Besides software patentability it’s a book about European legislative processes, about lobbyism and, somehow, about Democracy. Below some comments about the book from known voices. Florian’s book vividly conveys the feeling of what we experienced. A must-read for all who are concerned about software patents, and for those who want to know how things work in EU politics. The fascinating story of how a group of activists made EU history and saved our industry from a potential flood of lawsuits. When reading this you feel like you’re standing in a parliament and talking directly to the politicians who made the decisions.